Home World News American Travel News Travel alert! 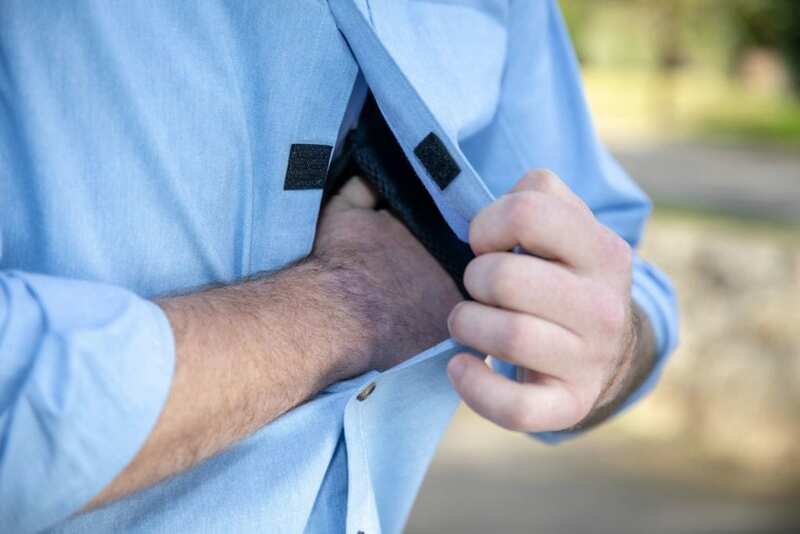 Everyday Carry Shirt to prevent pickpocketing? A former U.S. State Department Security Officer has a safety message for business travelers and advice for tourists with a solution for everyone carrying a smartphone, a passport, or a wallet when on the road. His name is David Bowers and his message is the Everyday Carry Shirt. David Bowers created a solution on how to get a handle on the increased risk of being a victim of a petty crime like pickpocketing. Obviously, if your wallet, handbag, passport, phone, or laptop is stolen when out of town or worse when exploring a foreign country, this can cause serious disruption to your vacation or business trip. In some cases, thefts can result in confidential information falling into the wrong hands. This Everyday Carry Shirt is not only a new product, but a new kind of product for those seeking a blend of concealment, comfort, accessibility, and safety for everyday carry items we can’t leave home without. The Everyday Carry Shirt is a more comfortable and concealed option for carrying items such as wallets, knives, multi-tools, passports, cell phones, flashlights, a small handgun, and other everyday carry items. It’s the most versatile everyday carry and anti-pickpocketing shirt on the market. The Everyday Carry Shirt, offered in a variety of styles, appears to be a normal button-down shirt on the outside but is constructed with a sewn-in lightweight patent pending inner-lined mesh vest that includes dual left and right mesh padded pockets that are positioned like shoulder holsters. The front shirt panel includes traditional buttons with two faux buttons for quick and easy access to the pockets. 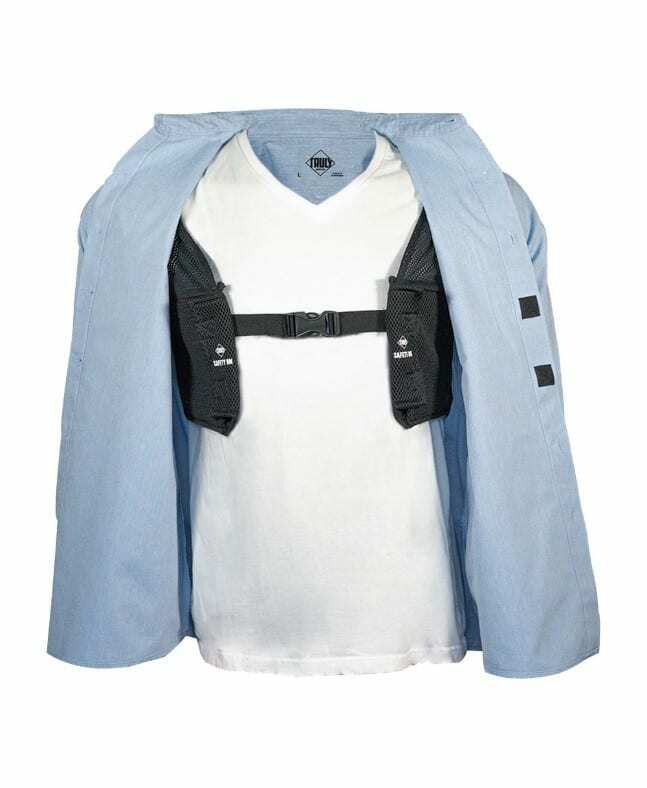 The pockets are accessible through Velcro flaps for quick access and are connected at the center of the chest with an adjustable connector. In addition to concealment, comfort was paramount in the design. The “game changer” of this product is the adjustment positioning straps, which allows the user to customize and position the vest pockets in the underarm-torso cavity area that best fits the user’s body type. The product is not a one-size-fits-all and was designed for ultimate comfort while sitting or standing. For more information about this versatile and unique product please click here. People are shifting away from a society of stuff (products like clothes, electronics, jewelry), to a society of experiences, and are specifically saving for travel.